Objective of this Position:To conduct information technology, data management, and data reporting activities using the REDCap application to support an observational cohort study of mothers and infants in Nairobi, Kenya. Work schedule: Full time (40 hours per week), Monday through Friday. 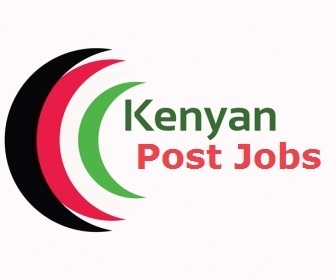 Location: Position will be based at the study office in Nairobi, Kenya, with visits to the clinic (Mathare North Health Centre) and laboratory as needed. Contract Duration: One year with opportunity for extension. · Assist Seattle-based data team with database development and testing of data collection forms. · Maintain study data collection devices (tablets), including but not limited to preparing applications for use in data collection, monitoring security and access restrictions, and coordinating repair or replacement of devices as needed. · Instruct clinical staff and home visit teams in use of data collection devices and applications and respond to any questions or concerns regarding the electronic database and/or devices. · Assist team with any issues related to the electronic database or devices, including but not limited to resolving Internet connectivity issues, ensuring the application uses the most up-to-date data collection forms, and updating device software or applications as needed. · Ensure research staff send data to the study database server as specified in the study’s standard operating procedures. · Obtain and/or manage research data obtained from external sources, such as HIV viral load registers or laboratories not affiliated with the research study. · Prepare weekly data reports for data quality and outcomes monitoring; send reports and communicate findings to study leadership team. · Respond to questions and concerns from the study leadership team regarding data quality and data security. · Bachelor’s Degree in Public Health, Health Information Systems, or related field. · Master’s Degree in Public Health or Health Information Systems Added Advantage. · Experience in computer programming and/or health information systems desired. · Experience working with maternal and child health data. · Have a certificate of human subjects training and good clinical practice. · At least 2 years of experience in data management on a research study. · Demonstrated ability to plan, lead, coordinate, and accomplish both data management and research tasks. · Strong analytic, written, organizational, and verbal communication skills. · Experience with smart phone or tablet technology for data collection, such as with REDCap or Open Data Kit applications. · Attention to detail and good work ethic. · Respectful, punctual, hardworking, and conscientious. · Responsive to communication with both local and international team members. Objective of this Position:To provide administrative support to research activities for an observational cohort study of mothers and infants in Nairobi, Kenya. Work schedule: Full-time (40 hours per week), Monday through Friday. · Coordinate submission of materials to the Kenyatta National Hospital Ethics and Research Committee for ethical approval of the study and shipment of samples to international destinations; obtain and distribute approval documents as appropriate. · Assist with interview and hiring of research staff. · Organize and maintain paper or electronic files related to study activities. · Facilitate payment of research staff and sample transport drivers. · Print consent forms and other paper study materials as needed; ensure materials are delivered to clinic or home visit staff. · Purchase sample collection supplies and coordinate storage of supplies in study office and/or clinic; communicate with clinic and laboratory staff to ensure consistent availability and distribution of supplies. · Assist clinic nurse manager with scheduling activities, including but not limited to arranging follow-up with clients and tracing participants who have not returned for scheduled visits. · Communicate with both clinical staff and transport drivers to coordinate sample transfer from clinic to laboratory. · Ensure the privacy and confidentiality of study participants and their data. · Attend meetings with the clinic manager, study coordinator, and/or study leadership team to discuss research activities. · Making the monthly reports of the project expenses and reconciling the receipts of the field advance. · Liaising with the contracts and grants office in University of Washington Kenya to facilitate the contracts and the Grant management. · Keeping clear records for all the financial transactions. · Bachelors Degree in Business Administration/ Management or Related Field. · Knowledge in Financial systems (CPA or Related Field). · Experience with Project administration and Management. · Knowledge in dealing with Budgets and Human Resource. · 2 to 3 years work Experience in related field. · Demonstrated ability to plan, coordinate, and accomplish administrative tasks. · Strong organizational and verbal communication skills. · Ability to work effectively as a member of a collaborative team. · Responsive to communication with supervisors and team members. Candidates who meet the above requirements should send their CV, Academic certificates and a cover letter detailing why they are the best candidates for the positions, expected salary and include daytime telephone contacts and email address to viromeadverts@gmail.com. Closing date for applications is 15thSeptember 2018.